CID’s mission is to teach children who are deaf and hard of hearing to listen, talk, read and succeed. We partner with families and collaborate with universities, educators and other professionals worldwide to help children communicate to achieve their fullest potential. 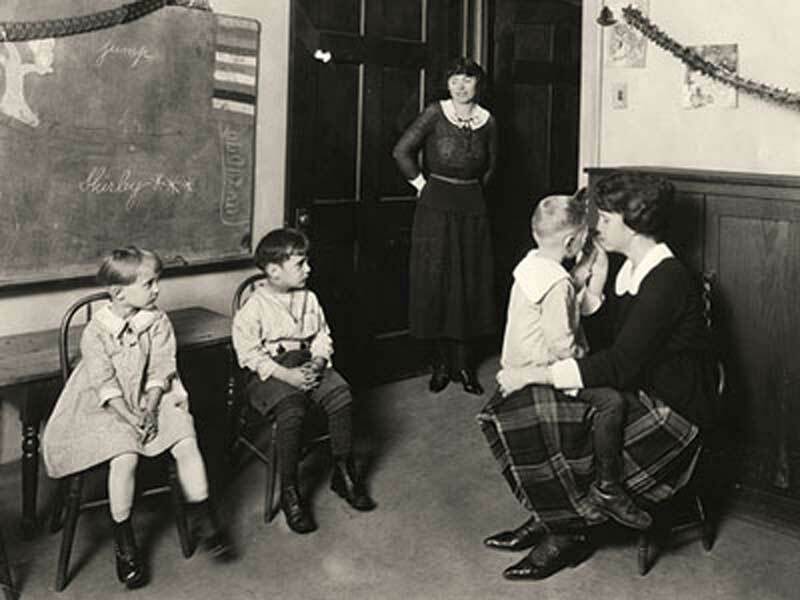 In 1914, Max Aaron Goldstein, MD, a renowned St. Louis ear, nose and throat physician, set out to do what most people believed impossible: teach children who are deaf and hard of hearing to talk. He had earlier received postgraduate medical training in Europe. In Vienna, he met a professor teaching profoundly deaf children to talk using “remnants” of hearing. This experience became the genesis for his dream to convince the world that congenitally deaf children could learn to listen and speak intelligibly. 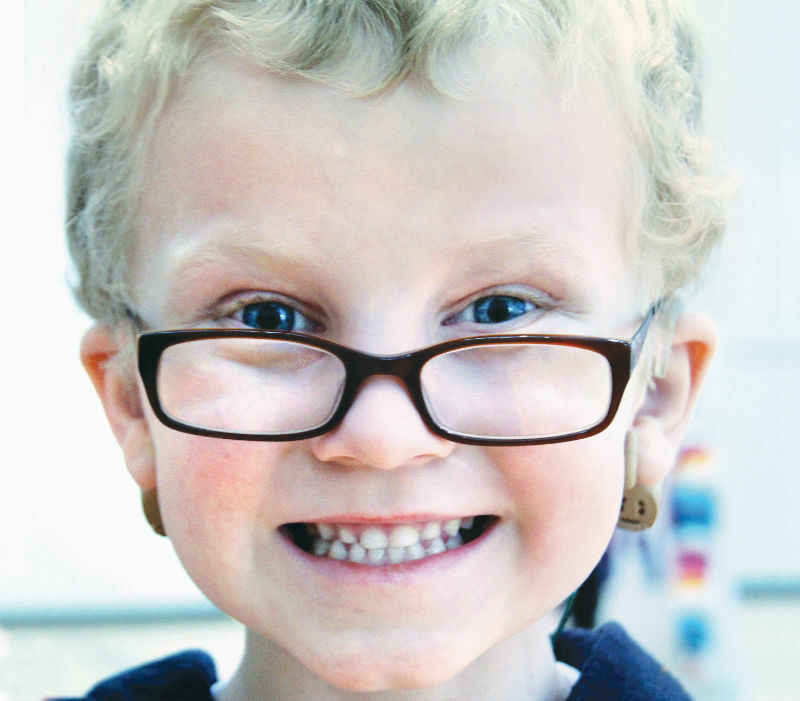 Founded in 1914, CID in St. Louis was the first fully dedicated auditory-oral school for children with hearing loss in the U.S.
By the time he was 18 months old, Peter lost all of his hearing. With the guidance and support of a strong professional community of audiologists and educators, he graduated from CID in 2011 and entered first-grade alongside his peers with typical hearing in a school near where he lived. 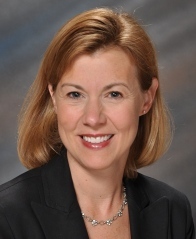 CID board president, Carrie L. Johnson, is director of strategic communications for Graybar in St. Louis. The CID educational program is fully accredited and locally and nationally recognized. The CID school program is accredited by the Missouri Department of Elementary and Secondary Education and the Illinois State Board of Education. 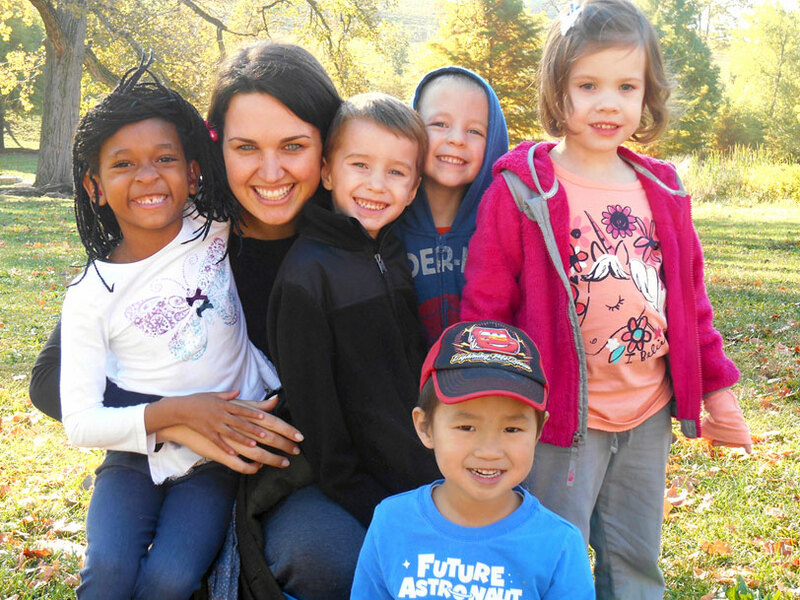 The CID Joanne Parrish Knight Family Center is an approved Parents as Teachers site. CID Family Center staff are credentialed providers for the First Steps program in Missouri and the Child and Family Connections program in Illinois. CID teachers are fully accredited by the Council on Education of the Deaf (CED). 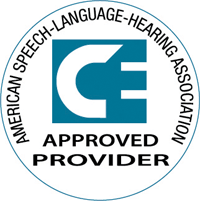 CID continuing education workshops are accredited by the American Speech-Language-Hearing Association (ASHA) and offer AG Bell Academy for Listening and Spoken Language (LSL) certification credits. CID is an approved Illinois State Board of Education provider of professional development activities. Every year from 2009 through 2016 (for the past eight consecutive years), Charity Navigator has awarded CID its highest 4-star ranking. This level indicates that CID executes its mission in a fiscally responsible way that outperforms most other U.S. charities. In competition with elementary schools across the country, CID has twice earned national recognition for excellence in education from the U.S. Department of Education. Our award-winning program has been replicated at other schools. CID is a recipient of a FOCUS-St. Louis “What’s Right With the Region!” Award for Creating Quality Educational Opportunities. The CID school building was constructed with “quiet school” technology, exceeding ASHA standards to meet the educational needs of children who are deaf and hard of hearing. The building received a Regional Excellence Award from St. Louis Construction News and Review and a Construction Keystone Award for Partnering Excellence from the Associated General Contractors of St. Louis. In 2001, the Landmarks Association of St. Louis named the CID campus one of the city’s Eleven Most Enhanced Sites. In 2003, the CID school received an Impact on Learning Award from School Planning and Management magazine. An alliance that began as a trusted handshake in 1931 became a formal affiliation in September 2003 when, after decades working together, Washington University School of Medicine entered into an historic agreement with CID – Central Institute for the Deaf. This new affiliation formally transferred CID’s graduate training program (PACS–Program in Audiology and Communication Sciences), hearing research programs and adult audiology clinic, along with its state-of-the art, 66,000-square-foot campus and research facilities, into the Washington University School of Medicine Department of Otolaryngology. 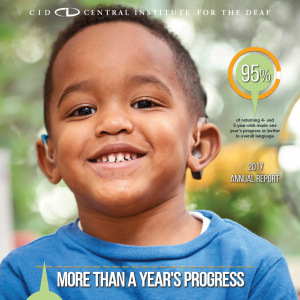 The CID school, early intervention and professional development programs remained with CID – Central Institute for the Deaf, a financially independent institution. 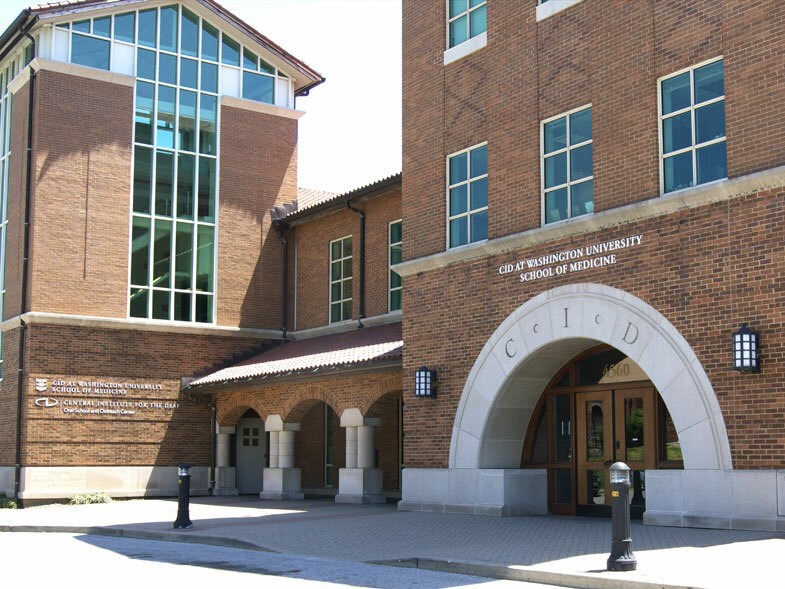 CID is a member of the Washington University Medical Center, which includes the School of Medicine and Barnes-Jewish-Children’s Hospitals in the Central West End of St. Louis. CID provides practicum experiences for local graduate students, including deaf education and audiology students in the PACS program and students in the early intervention and speech-language programs at Southern Illinois University-Edwardsville and Fontbonne University. CID teachers of the deaf, speech-language pathologists, pediatric audiologists and administrators serve on the faculty of local university programs. CID shares the same campus with CID at Washington University School of Medicine programs. CID benefits from affiliation with the internationally renowned Harold W. Siebens Hearing Research Center, the Center for Childhood Deafness and other laboratory sites composing hearing and deafness research at CID at Washington University School of Medicine. The CID school staff cooperates and collaborates with childhood deafness researchers at Washington University and elsewhere to improve listening and spoken language for children who are deaf and hard of hearing. In addition, CID at Washington University School of Medicine’s adult hearing clinics include the Spencer T. Olin Clinic, located on the CID campus. Learn more about the shared history of PACS and CID. The CID – Central Institute for the Deaf pediatric audiology program provides a full range of re/habilitative audiologic services, including behavioral hearing evaluations, device evaluations (digital hearing aids, cochlear implants and FM systems) and programming, parent counseling and educational outreach. CID audiologists work closely with educators in the CID parent-infant family center program and CID school addressing the speech, language and hearing needs of children ages birth to 12. Each year, we seek a fourth-year audiology extern to participate in all aspects of the audiology clinic, including making and fitting earmolds, selecting and verifying hearing aids, programming and verifying cochlear implants for children, fitting FM systems and planning of appropriate auditory training goals. Through observation and guided supervision, the extern helps counsel families about hearing loss, device options and the cochlear implantation process. Stipend available. CID’s fiscal year runs from September 1 through August 31. View our latest available audited financial statement or our most recently available 990.